In this Dec. 2, 2017, file photo, Eric Frenzel of Germany takes 2nd place during the FIS Nordic World Cup Men's and Women's Nordic Combined HS100/Team in Lillehammer, Norway. Five-time World Cup winner and Olympic gold medalist Eric Frenzel will be aiming to continue his dominance of Nordic combined at the Pyeongchang Olympics. The 29-year-old German won the normal hill event in Sochi and finished 10th in the large hill competition after falling ill. He came back to help Germany win silver in the team event. The only athlete to win both the normal and large hill events at one Olympics was Finland's Samppa Lajunen, who achieved the rare feat at the 2002 Games in Salt Lake City. Lajunen claimed a third gold that year as a member of Finland's 4x5-kilometer team. Over a 10-year career on the World Cup circuit, Frenzel has 42 individual wins and eight team titles to go with three Olympic medals which also include silver in Sochi and bronze in Vancouver. He won the World Cup for five consecutive years from 2013 and has five World Championship titles. 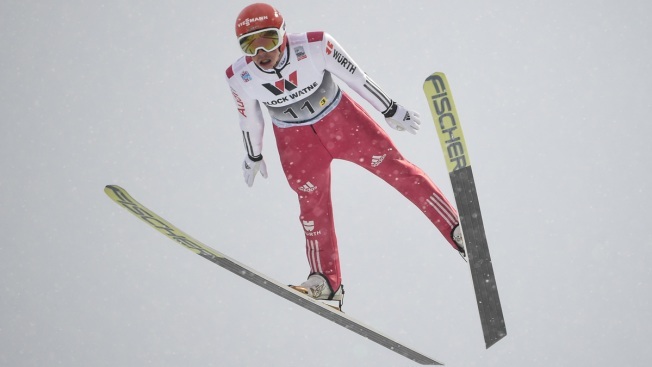 But Frenzel will have to contend with in-form Japanese skier Akito Watabe. Watabe picked up his third straight Nordic combined World Cup win on Jan. 28 and became only the second athlete to sweep the three-day Seefeld Triple event in Austria. Watabe has surged to the top of the World Cup standings with the results from Austria, adding to a win earlier this season in Finland. Here's some of what to know going into Nordic combined at the Pyeongchang Games. Nordic combined events have been contested since the first Winter Olympics in 1924. 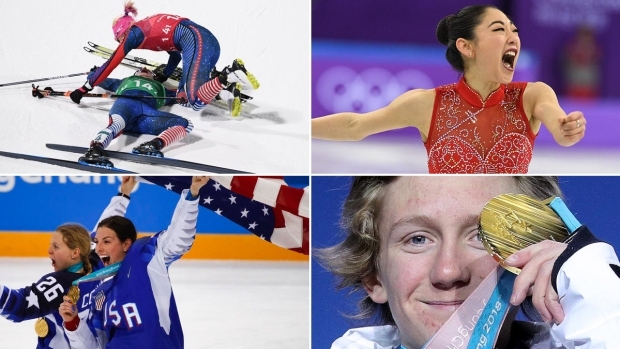 Norway has dominated the sport with 30 medals overall and a total of 13 gold medals. In Pyeongchang, athletes will contest the 10-kilometer normal hill, the 10-kilometer large hill and the team large hill with a 4x5-kilometer team event. The sport has been exclusively contested by men at the Olympics since its debut. But that could soon change. Officials of the International Ski Federation are in discussions to have women contest Nordic combined at the 2022 Olympics in Beijing. Frenzel's main competition in Pyeongchang is likely to come from Norwegians Jan Schmid and Joergen Graabak, who won gold in the large hill event in Sochi, and Watabe. Johannes Rydzek. The 26-year-old German skier upstaged Frenzel at the Pyeongchang 2018 Olympic test events and won four golds at the Nordic World Ski Championships in Lahti, Finland, a few weeks later. A month after being crowned world junior champion in Hinterzarten, Germany, in January of 2010, Rydzek made his Olympic debut in Vancouver and finished on the podium, helping the German quartet win bronze in the team event. France's Jason Lamy Chappuis, the Vancouver 2010 men's individual normal hill-10K champion, retired after the Sochi Games to train as an airline pilot but is making a comeback at the age of 31 and plans to compete at Pyeongchang. Lamy-Chappuis has won 26 individual World Cup events and three consecutive overall World Cup titles between 2010 and 2012. He has won 10 world championship medals in total, including five golds. 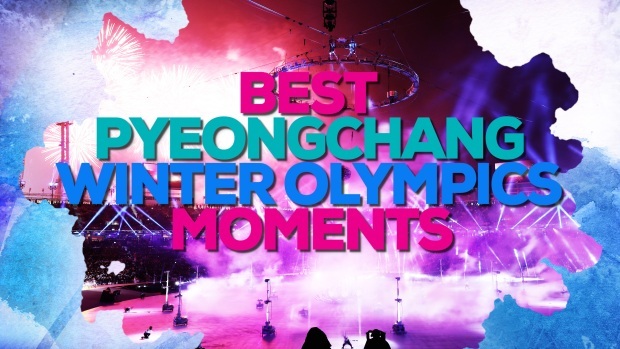 The ski jumping competition will take place at the Alpensia Ski Jumping Centre and the Alpensia Cross-Country Centre, which is located in the Pyeongchang Mountain Cluster.